Definition: vector graphics is the use of geometrical primitives such as points, lines, curves, and shapes or polygon(s), which are all based on mathematical equations, to represent images in computer graphics. Vector graphics formats are complementary to raster graphics, which is the representation of images as an array of pixels, as it is typically used for the representation of photographic images. There are instances when working with vector tools and formats is the best practice, and instances when working with raster tools and formats is the best practice. There are times when both formats come together. An understanding of the advantages and limitations of each technology and the relationship between them is most likely to result in efficient and effective use of tools. Vector art is often used for silkscreen, pad printing and vinyl cutting. You can automatically convert jpgs to vector using Adobe Illustrator, or open source software like Inkscape or other vector software. Results vary. 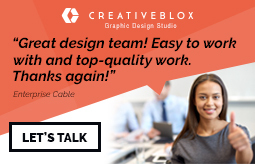 Creativeblox can convert most images to vector. Cost is based on detail and complexity. As low as $5 for simple jobs, $20 for the very detailed ones (some exceptions may apply). 24 Hour Rush Service is available. Next post how important is ‘award-winning’ design?